Did (or does) your little one carry a security blanket? 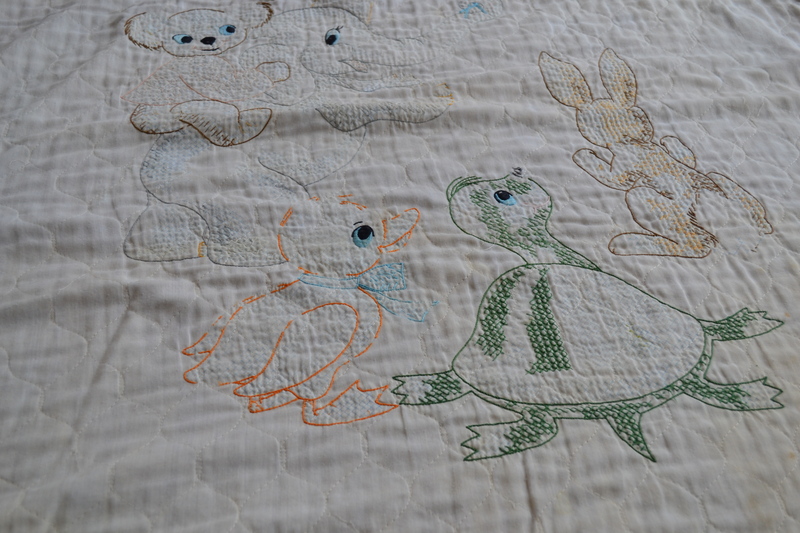 For my son, Marshall, it was an embroidered baby quilt that had been a baby shower gift from my cousin, Lona and her mom. It was one of those lightweight quilts that came “stamped” with the design. And Lona and her mom embroidered it. I treasured the quilt from the beginning, and I was happy that it became the item Marshall always wanted to have with him. 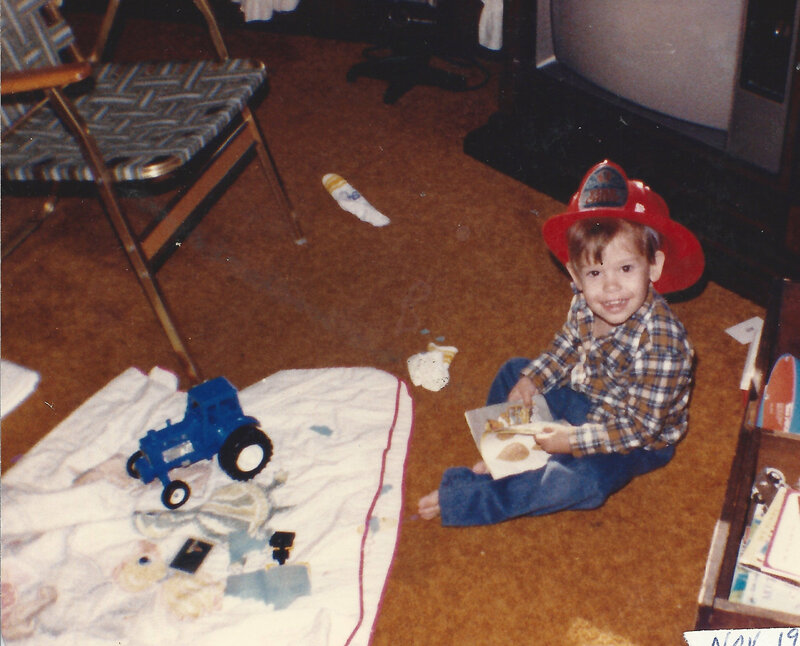 Around this time, Marshall must have been undecided as to whether his future was in firefighting or farming. But there’s his blanket, serving as a field for the tractor. 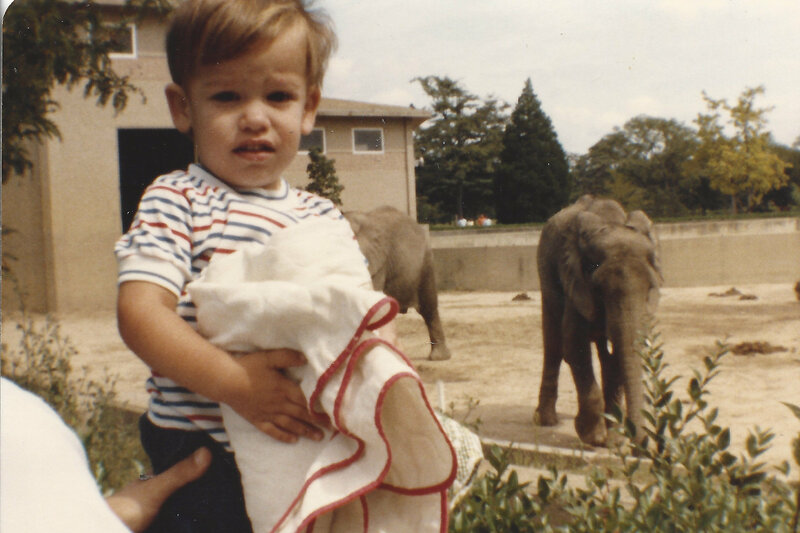 Marshall’s blanket even went with us to the zoo. From his expression, he seems to be needing the security. Obviously not a big fan of the elephants. I still have Marshall’s blanket. When I look at it, I remember the naps, bedtimes, car trips, doctor’s appointments and even a couple of hospital visits where it helped comfort a little fella. And I remember the time we left it at his Granny’s, and didn’t realize it til we were probably twenty miles away. Of course, we went back for it. Most of the stitches were worn away years ago. During the time Marshall was carrying this blanket EVERYWHERE, the red binding wore away, and I replaced it with blue. 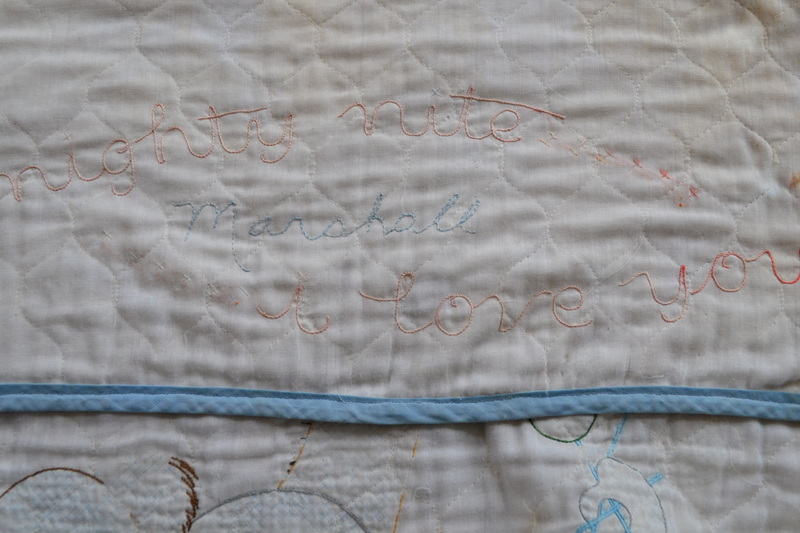 The “nighty nite” and “I love you” were printed on the quilt, with the space left blank in the middle for the baby’s name. 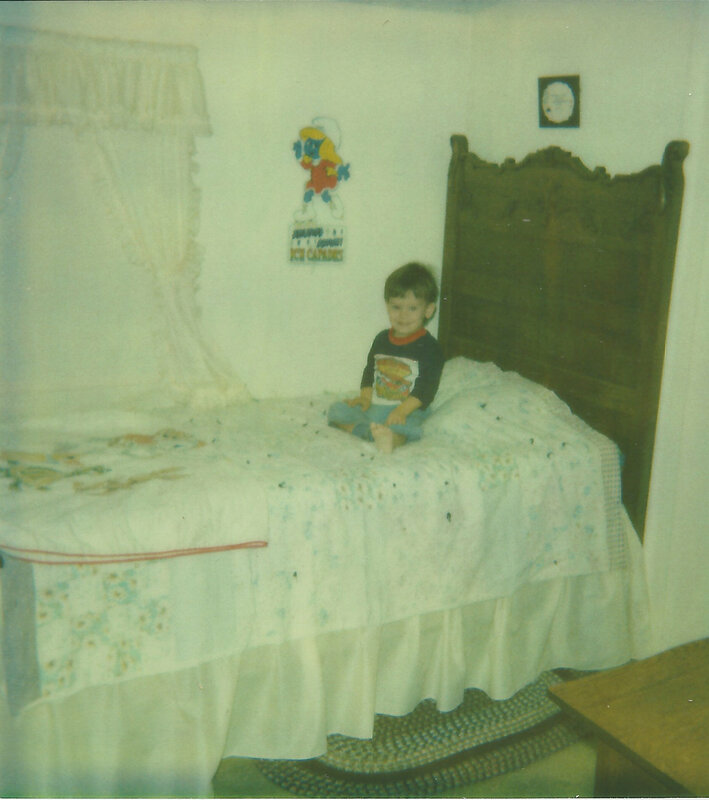 I embroidered “Marshall” in that space after he was born. Marshall may decide one day that he’d like to have his quilt. But til then, it’s safe with me. With its worn away stitches, and little stains here and there, it’s even more of a treasure than ever.